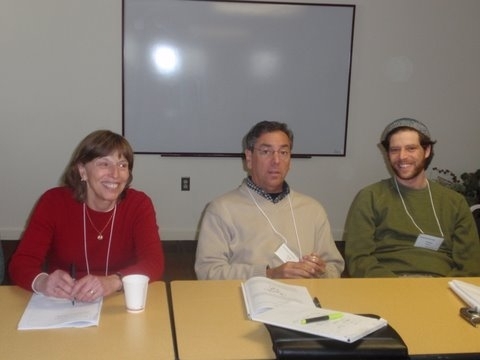 Are you seeking to make environmental change in local or national Jewish communities? Looking for ways to move people that do not always share the same views as you? Would you like to learn how to use a leadership skill to connect to people’s hearts? 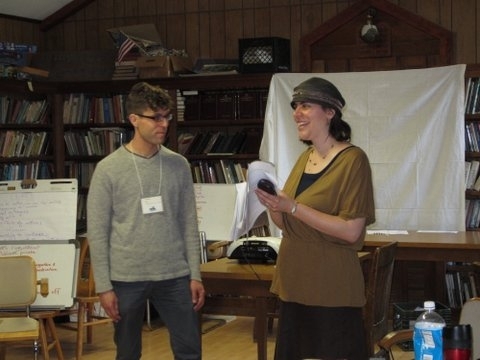 Based on a tool created by Harvard University, Jewcology developed a new Leadership Training for Jewish environmentalists. How can we use the stories of our lives to inspire, teach, and motivate others? In this training we will learn to share the experiences and values that have led us to devote our lives to Jewish-environmental education and action, and to connect to others through these values. We will be trained to express our environmental passions in a way that fosters shared commitment and meaningful, collective action. Organized by experts in the “public narrative” methodology which was behind the successful grassroots movement developed in Obama campaign. Delivered for a multi-denominational audience. Tailored specifically for the needs of the Jewish environmental movement. This is a new kind of leadership training that has never before been done in the Jewish environmental movement. Bring a leadership training to your community. Contact us for more information. Core teachings on 18 topics linking Torah and the environment were released between Tu b’Shevat 5772 and Tu b’Shevat 5773 as part of Jewcology’s Year of Jewish Learning on the Environment, in partnership with Canfei Nesharim and a host of other organizations who shared materials across the Jewish community. The materials were shared at least 145 times on the web, in at least 99 social media postings, and reached over 51,000 people during the course of the year, as part of a Year of Jewish Learning on the Environment. The materials comprise the most comprehensive set of learning materials on Torah and the environment ever created, and are intended as a resource for the entire Jewish community! Hazon: Jewish Inspiration. Sustainable Communities. The Year of Jewish Learning on the Environment is a partnership project organized by Jewcology and Canfei Nesharim, with support from the Shedlin Outreach Foundation and the ROI Community, a community of young Jewish innovators founded by Lynn Schusterman. Jewcology was launched by a team of Jewish environmentalists who connected through the ROI Community. Following up on our Year of Jewish Learning on the Environment, in 2013 we focused on actions to save energy and reduce food waste, practical actions called for by the Jewish mitzvah of bal tashchit. You can see the results of our shared actions below! The Year of Action was a project of Jewcology, in partnership with Canfei Nesharim and in coordination with the Coalition on the Environment and Jewish Life (COEJL), along with many other Jewish environmental organizations and initiatives, and with the support of the ROI Community. The actions of this project were suggested, researched and drafted by the following members of the Canfei Nesharim and Jewcology teams: Sarah Bedder, Ruchama Cohen, Jacob Schaperow, Dr. David Goldblatt, Josh Keyak, and Dr. Daniel Weber. Thanks to the team! #5: Just How Much Difference Do 2 Degrees Make? #6: How You Get There Matters! #4: Eyes Bigger than Your Stomach? CO2 emissions from 791 gallons of gasoline consumed. Carbon sequestered by 181 tree seedlings grown for 10 years, or 5.8 acres of U.S. forests annually. Annual greenhouse gas emissions from 2.9 passenger vehicles, or .186 tanker trucks’ worth of gasoline. CO2 emissions from 32.8 barrels of oil consumed. CO2 emissions from the electricity use of 2.1 homes for one year. Carbon sequestered by 362 tree seedlings grown for 10 years, or 11.6 acres of U.S. forests annually. To feed a hungry person for half a year. The National Synagogue Goes Green — Hallelujah!